While driving along a quiet residential street, minding my own business, the car I was driving performed an emergency stop. There’s nothing desperately unusual about that, and it’s unlikely I was the only driver on the nation’s roads that came to an abrupt halt that day. However, there are two factors that made this experience different: firstly, there was no reason to stop – there was no danger, and no accident to be avoided. In fact, it nearly caused an accident in itself, by forcing the car behind to take evasive action. But it’s the second factor that’s the pivotal one: despite being the one sat behind the wheel, I didn’t perform the emergency stop. The car did. At this point you’re probably thinking mechanical failure, but I can assure you everything was operating as it should. No, the cause of this unwarranted and unexpected brake test was the car’s collision avoidance system. 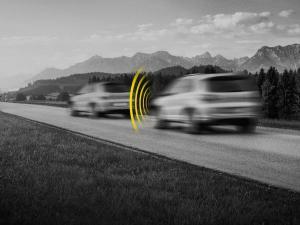 They’ve become the latest addition to any new model, and the systems use a variety of sensors – often radar, laser, or one or more cameras – to monitor the speed and position of the vehicle in front. Should the system detect a collision is imminent, it can sound a warning or, in some cases, apply the brakes automatically and bring the car to a stop before the collision occurs. That’s what happened to me. The car (I won’t name the manufacturer, but I will say it’s a premium brand) had decided I was about to have an accident and piled on the brakes in an attempt to save me from myself. But what accident was it trying to avoid? Without access to the raw data from the various sensors, it’s difficult to know for certain, but I assume the system had been confused by the road layout, a cross-roads on a slight right-hand curve with metal railings to protect pedestrians. I was lucky the driver of the car behind was sufficiently switched-on as to avoid running into the back of me. But it got me thinking: what if there had been an impact? In the event of a claim, who would an insurance company judge to be at fault? Technically, you see, I didn’t cause the accident; the car did. Of course there’s an argument to be made to say the following vehicle should always maintain sufficient distance to stop in an emergency, but it’s unlikely anyone would have anticipated the need to perform an emergency stop in the middle of a clear road. Asked for comment, the UK insurance industry stated that these systems are designed to assist the driver, not to replace them. As such, the driver is considered to be in control at all times and is therefore liable in the event of a claim. That standpoint is easy to understand when it’s applied to, say, satnav. Those poor souls who find themselves driving into rivers or down railway lines because their satnav told them to can’t use the defence that their car “made me do it.” Ultimately, the driver retains overall control. But when it comes to systems that have a direct input on the car’s speed or direction, should the same reasoning apply? The simpler collision warning systems restrict themselves to just that – sounding a warning that a collision is imminent and leaving the driver to take avoiding action. In other words, the driver is always in complete control. But the more complex systems, those that apply the brakes automatically without driver intervention in a function dubbed Autonomous Emergency Braking (AEB), take us into a more difficult area. In the scenario I found myself in that day, how could I have retained control? Should I have known to disable the AEB system prior to that junction to prevent it becoming confused? How would I have known what characteristics to look for that might deem that necessary? And if I disabled a system – even temporarily – that has a material effect on my vehicle’s safety assessment, is my insurance still valid? The insurance industry states that the full benefit of AEB systems will only be realised once all vehicles are so equipped, and certainly in the scenario where a car autonomously performs an emergency stop for no apparent reason, any subsequent collision would be avoided if the following vehicles are also fitted with AEB. That day may come sooner than expected, as Thatcham Research are campaigning to have AEB systems fitted as standard to all cars. Thatcham’s research shows that AEB-equipped vehicles are involved in 18% fewer third party injury claims, and goes on to suggest that AEB has the potential to save 1,100 lives and over 122,000 casualties in the 10 year period from 2015-2025. It’s true that cars fitted with AEB often attract lower insurance group ratings and therefore lower premiums, and the incentive to the insurance industry is a reduction in repair costs, injury claims and – a hot topic, given the rise of ‘crash for cash’ – bogus claims for whiplash injuries. The prospect of ever-increasing automation of a car’s systems raises interesting questions for the future, too, particularly with fully autonomous cars now under intense development. If a self-driving car causes an accident, who is to blame? If a car can drive itself, does the driver become a passenger? Do they need insurance if they have no control over what the car does? Do they even need a driving licence? These are questions we don’t yet have the answers to and, most likely, will require a change in the law before we do. Until that day arrives, our cars will continue to become more sophisticated and include a wider spread of electronic systems to automate parts of our driving, from adaptive cruise control to autonomous braking. I’m not about to suggest we should deny ourselves the opportunity to reduce accidents and casualties, and clearly the incident I experienced was a rare confluence of conditions and unlikely to be repeated up and down the land. It’s worth bearing in mind, though, that as long as the insurance industry considers AEB-equipped cars to be ‘semi-autonomous’, no matter what your car does, you are still responsible for it. Until the law changes and fully-autonomous vehicles become the norm, you are responsible not only for your own actions, but also those of your car. Drivers should make themselves fully aware of the operation of their car’s various systems, in particular the presence (or otherwise) of override functions. For instance, some cars allow the driver to over-rule the emergency braking system by pressing harder on the accelerator. Make sure you know how your car’s particular system operates. We believe if an AEB system is tested by an official body (i.e. Thatcham, Euro NCAP) information as to its limitations should be made available, particularly with regard to its effectiveness in poor weather conditions, at night, reactions to certain road layouts, street furniture, etc. Update 30/7/2014: The Government today announced the creation of a £10 million fund to kick-start trials of driverless cars. It also launched a review of the Highway Code, construction and safety regulations, and applicable traffic laws to allow driverless cars to be tested on UK roads, with a focus on licensing, liability and insurance issues. 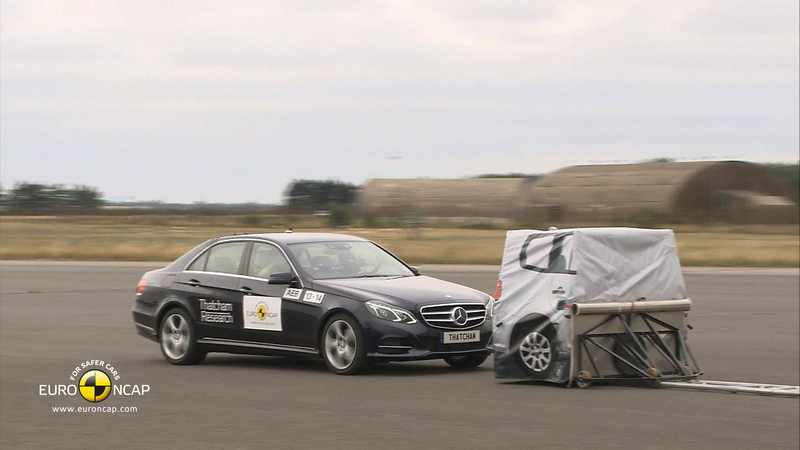 Update 13/5/2015: Euro NCAP today released the results of their study into the effectiveness of AEB systems. 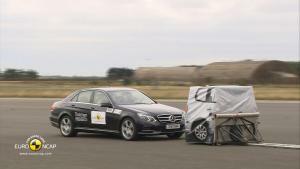 They conclude that at low speeds (up to 30 or 50 kmh), AEB systems led to a 38% reduction in real-world rear-end crashes. 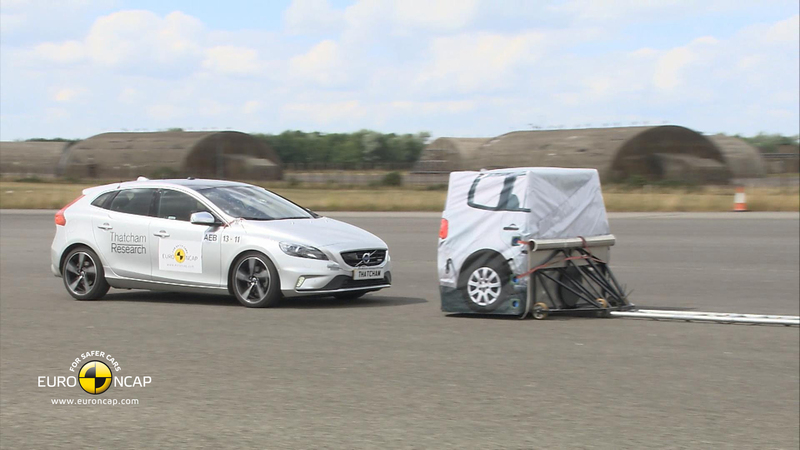 It seems likely that AEB will become effectively mandatory for new vehicles, with Euro NCAP requiring its installation in order to attain a full safety rating.